We all get older the minute we were born. According to the U.S. Census Bureau, ten thousand people turn 65 on a daily basis. This year, for the first time ever, Americans aged over 60 will outnumber those under 18. Elsewhere in Japan, more than twenty-eight percent of ultra-aged nation’s population will be 65-plus by 2030. Around the world, we are facing an unprecedented demographic shift that will have ramifications for every future generation. Since the early 1900s, we have added thirty years of living. A 50-year old today is likely not the same as a 50-year old twenty years ago. Just as there are many shades of grey, the 50-plus age group is also much less homogeneous compared to previous generations. Across the spectrum, you will find people being the same biological “age” but at different stages of their lives. While aging is universal, how we age is not. Many of us are starting family later in life and retiring (and re-retiring) later. More than fifty percent of new entrepreneurs in the U.S. are aged 45 and above. “Age is just a number” holds more truth today than before. If all aspects of our lives are changing, then why not the way we plan and manage our finances? As innovators, how do we design products with all people in mind as we age – so that we can bring communities and generations closer together? And how do we leverage emerging technologies such as voice, artificial intelligence, and advanced data analytics to create solutions that address the challenges of an aging demographics – where nearly a quarter of all caregivers in the U.S. are millennials? Shades of Grey is a podcast about living. It is a collection of stories from a diverse universe of entrepreneurs and thought leaders, using their collective power and intellect to change the narrative of aging. It is a testament that technology and innovation should be inclusive and age-agnostic. It is a call for action – for the society to not to just focus on the short-term gains, but on what can be done for the long-term well-being of all. 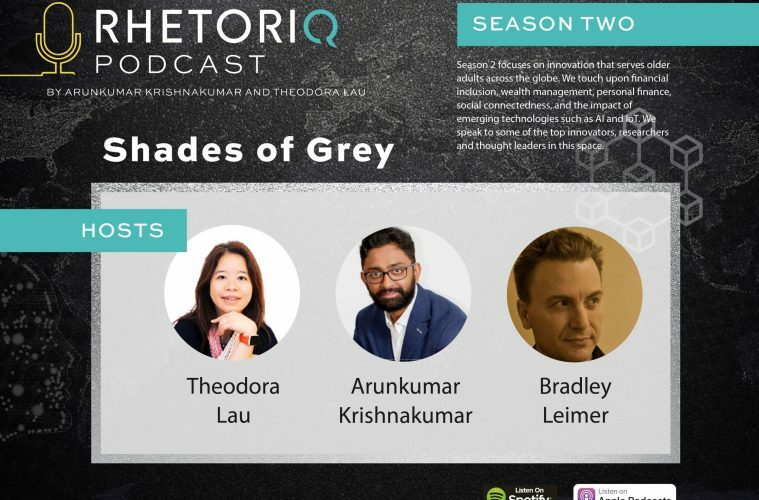 Tune in to our inaugural episode of “Shades of Grey” here.